AED 549 549 Due to Valentine's day, prices are up for the selected delivery date. Are your kids still fascinated by Pikachu and other Pokemon characters? Encourage their love and imagination to a new level by ordering this specially designed Pokemon cake on their birthday occasion. 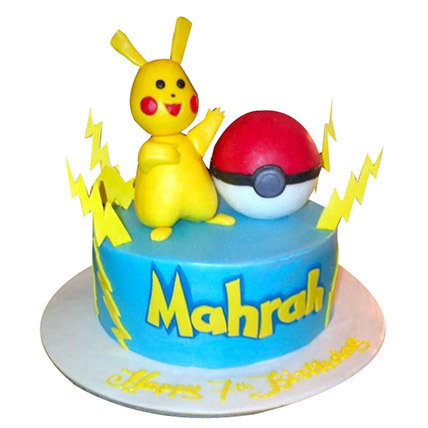 Treat them to a whole new world of Pokemon with this cartoon inspired delectable cake.